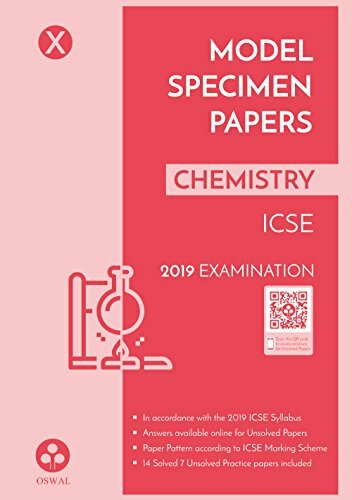 Oswal Publishers' 'Model Specimen Papers' of Chemistry for ICSE Class 10 2019 Examinations comprising of 14 solved papers and 7 unsolved papers in accordance with latest syllabus and paper pattern prescribed by the board. This book will help the students in time management, optimise their performance and gain a different approach to attempting question papers as per the examination pattern. Special emphasis has been made on the quality of solutions and adherance to the marking scheme of the board. This book has been written by Oswal Publishers, who has written books like 10 Last Years Solved Papers: U.P. Board Class 10 for 2019 Examination,10 Last Years Solved Paper - Vigyan: U.P. Board Class 10 for 2019 Examination (Solved Papers),10 Last Years Solved Papers - Ganit: U.P. 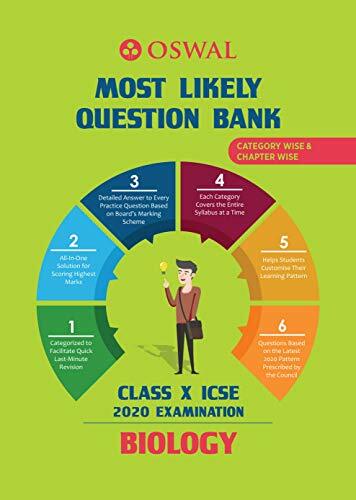 Board Class 10 for 2019 Examination,10 Last Years Solved Papers - Humanities: CBSE Class 12 for 2019 Examination,10 Last Years Solved Papers - Commerce: CBSE Class 12 for 2019 Examination. The books are written in Uttar Pradesh,CBSE category. This book is read by people who are interested in reading books in category : CISCE. So, if you want to explore books similar to This book, you must read and buy this book.